How important to your online success is having a daily routine? Anyone can become successful online if they really want to. There are no secrets or magic bullets. It does not require special skills, or any specific experience. Granted… having a burning desire, a good mind-set, and a positive attitude are important pieces, and any business oriented skills and experience can certainly be helpful…but…if a person is not consistent and performing a daily routine that becomes habit…online success is not going to happen. How many times have we watched someone, ourselves maybe, go from grand ideas and dreams one day, to hitting a brick wall the next…never to be seen again? 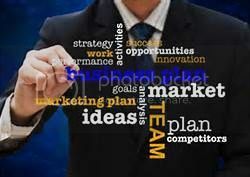 These people may be highly intelligent with tons of business experience, computer experience, phone experience, sales experience, life experience… and yet not doing what they said they were going to do. A daily routine is the most crucial element to your online success. It doesn’t matter how much you know, or if you know what you should be doing, or could be doing, or will be doing. What matters is what you are doing on a consistent daily basis. Some people don’t know what to do…what to include, or what a daily routine should consist of. But there’s training available…plenty of it… and so not knowing what to do daily is just not a valid excuse. We, or very many others, can point anyone to the proper training. So…the training then becomes part of the routine. Soon you’ll be adding income producing activities to the routine, such as connecting with others, presenting the information, showing the plan, using the tools, inviting others to events, saying less to more people, working on your mindset, personal development, and so on. The training just becomes a part of it, and is what leads to these activities. But the consistency of daily activity is what matters…not how much you know, or how good you are, but rather how often you are doing the things you know how to do. But now I’m going to contradict myself. Yes that’s right. There is one other thing that is more important to your online success than a daily routine, and that is WHY you are doing the daily routine. Being told what to do daily, knowing what to do daily, and doing those things daily, will not work and will not last, if you do not know why you are doing what you are doing. Having a good enough reason for performing your daily activities is the one thing that will keep you doing them. It’s the one thing that will help you stick to the tasks at hand. All success stories have two things.. a reason why they were doing what they were doing, and a vision of who they wanted to become. All successful people have a reason why and a vision of what they want to become… and this is exactly what drives them to do their daily routine…consistently, without fail. Sticking to your daily routine will get you results. So start concentrating on this… why should I be doing, the things that I know I should be doing. One more great tip that I picked up this week attending training events… stop staring at the results, and start staring at the habits that created the results, and then start staring at the thoughts that created those habits. Create a powerful morning routine for success! I just scooped this post because it is important to understand that if we don’t develop good work habits and create that daily routine, chaos develops very quickly. In my job, I am always refining my daily routine to get the best use of my time and yes that routine is needed to become successful. Hi Brett, I will make a point of writing a post regarding Scoop.it just for you :-). Seriously Scoop.it is a tool that has become very popular in terms of content creation as well as content curation which can add value to people, your readers, your followers. There are many ways to create a good solid daily routine for yourself when it comes to any kind of business, including internet marketing, network marketing, social media marketing and to bloggers who work consistently to product great content to share with others. Without a routine, with set goals and daily habits, I can say with all honesty you will be running around in circles and will go no where fast. Now..as to formatting of posts on this blogging community as well as on other blogs, when you are doing a direct copy and paste, the formatting gets royally goofed ( being polite lol). I wrote a post about this on here, but if you need the link, let me know. 4. We now are learning more and more that images are so important, so add a new image to the featured image of the post or maybe even use different images. 8 be sure to add where you have reblogged this content so that the link will go back to the original post. got it thanks… i’ve been doing that with Notepad for the original posts when i copy them from my rough draft in email…so i assumed i guess that if i copied from one wordpress post to another it would be ok… but so yes i’m familiar with this and will de-html even on the repost. What threw me is the Preview shoed it as ok.
What I have been doing for members who are reblogging is manually putting in the link at the very bottom.